The four years old boys naturally very active and energetic so the parents want their kids to use this energy in learning and constructive activity. The toys play a very important role to understand the world and activities. Here we suggest some useful toys for the kids learning as well as different social activities like games, other role-play. We always committed to the best suggestion in kids toy of any age. We request to parents, be sure about their kid's ability and dis-ability before buying any toy. Vtech Little Apps Tablet comes with 12 fun learning activities and these learning activities gradually become more difficult as kids progress through the different levels. 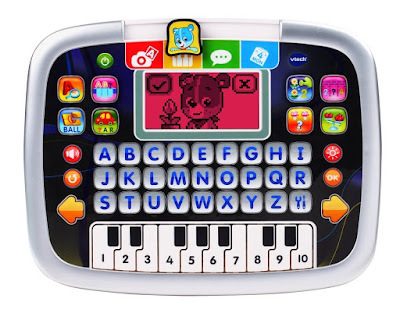 It includes also colour changing LCD screen, letters buttons and piano keyboard. It is good for 3 to 5-year-old kids. The animation, sound effects, and music make the learning process interesting for kids. The Folding Kiddie Kick Razor has made riding a scooter fun and easy for children four years and under. Its stand-alone, three-wheel design makes for a more stable ride. The super slip-resistant deck keeps kids on their little toes and easy to grip soft foam handle. The new folding mechanism makes it portable. 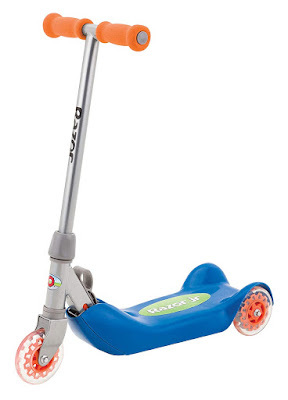 the scooter runs on leg power so its a great for strengthening the muscle of the lower limb while at the same time promotes foot-hand-eye coordination as well as maintaining balance. 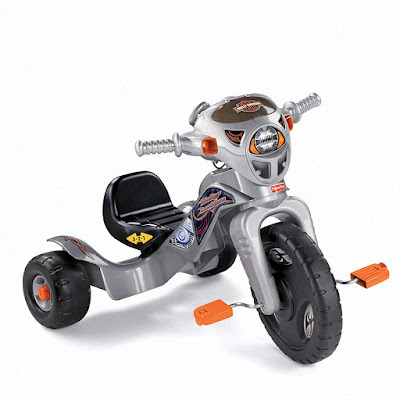 A wonderful tricycle for 4-year-old baby, it comes with an adjustable seat, large paddle and wide rear wheel for optimum stability. It gives a full fun ride to the baby because handles include left-right flashing lights, sounds, music, and walkie-talkie. An oversized front wheel helps in faster paddling. 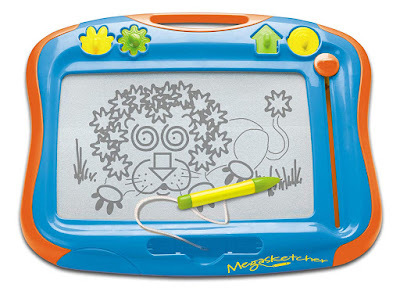 This Megasketcher is an ideal toy for boys and girls, the unique screen allows the budding artist to draw clear and sharp pictures. This multicolour drawing board you can encourage your children to use their imagination and curve out sketches along with putting their creativity to use. The toy includes 1 Megasketcher magnetic drawing board, magic pen, 4 shapes stampers and screen eraser. Our toddlers generally put their hands on anything and anywhere. 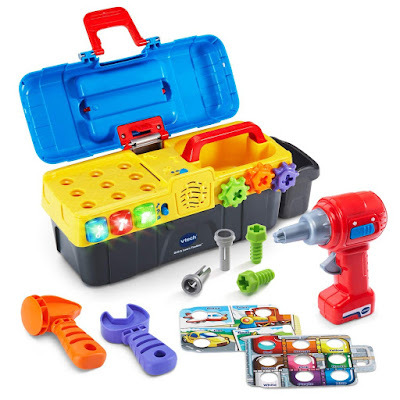 This drill and learn toolbox encourages 4-year-old kid for roleplaying as fixing bits and pieces around the house. It includes a working toy drill, fix-it-tray, screws, nails, wrench and a hammer. The working drill can drill the screws and spins gears into the tray.holes. Not only this toolbox amuse the toddlers, but it teaches about number and colours. 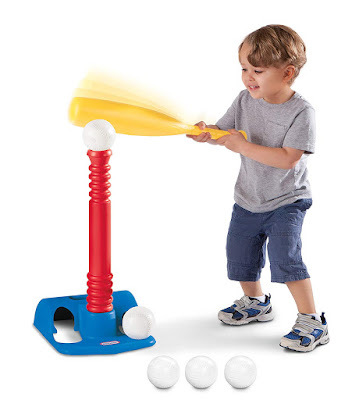 'T' ball set is good for your kid's baseball practice, it includes 1 bat, 1 prop for the ball and 5 white balls, 1 prop base with "hang-on-the-wall" design for small space storage. The baseball bat set simply designed with a large head which makes it easy to hit the ball in just one action. The handle of the bat is designed to be slim that your kid can properly wrap his or her hand on the circumference of entire handle. this ensures more balance and greater force in taking the swing. The manufacturer recommended minimum age 18 months old kid. 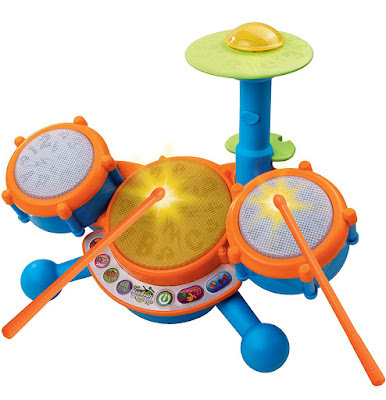 The musical toy for toddlers includes 2 tom-toms, a snare drum and colourful a cymbal. Kids can choose from 4 different modes of play so they will have greater variety in learning and in having fun. It teaches kids about letters and numbers while having them a chance to beat to the rhythm of melodies. Your kid really enjoys with this musical toy as well as learns different sounds and skills. Flybar My First Foam Pogo Jumper is made from a soft durable foam base, a strong stretchy bungee "spring" and soft comfortable foam grip handles. It is good for indoor and outdoor surface never scratches any surface. 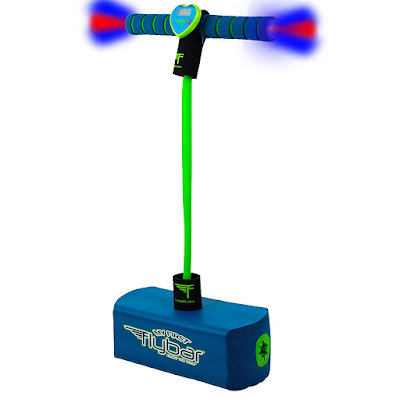 This toy comes with blue and red flashing lights on the handlebars, a cute heart shape pogo counter that will count your jumps. 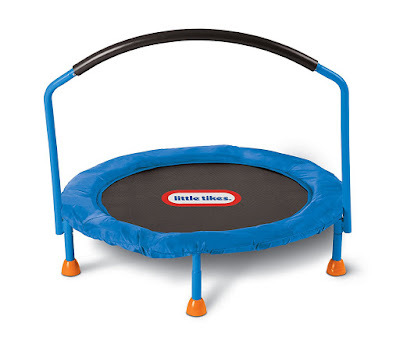 This jumper helps to burn kids extra energy in a constructive way and improving their cardiovascular health and having fun at the same time. This is good for 4 years old kids.